Dutch Antilles Express, also known as DAE, dates back to 2003 when the airline consisted of various smaller carriers inside one parent company. The parent company, named Exel Aviation, started operation in 2003 with BonairExel with a single ATR 42 to operate within the Netherland’s Antilles. 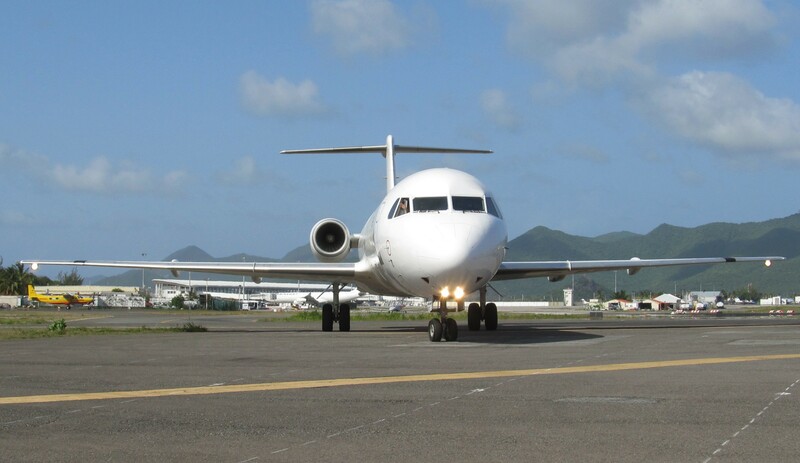 The airline quickly became profitable, adding an Embraer ERJ-145 on the Bonaire-Aruba flights. As BonairExel expanded, Exel Aviation added a Curacao branch titled CuracaoExel. With the recent failure of the government backed Dutch Caribbean Airlines, the Exel Group flourished in Curacao. Another branch in Aruba was formed soon thereafter. 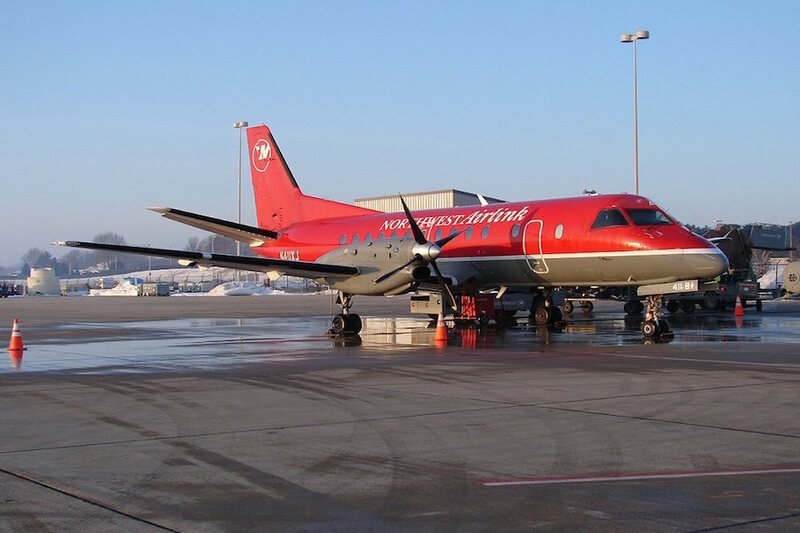 The airline, which also had a European branch called Air Exel, found itself expanding rapidly and continually growing their airline on both sides of the Atlantic Ocean. However, in 2005, the European branch of the airline came under a lawsuit and forced the carrier to rebrand their Caribbean branches to BonairExpress and CuracaoExpress to avoid public humiliation, as Air Exel in Europe was doomed to be grounded. ArubaExel would be grounded as the Exel Aviation Group rebranded and reorganized. Even though the carrier changed names its public relations were still hurting. The carrier decided to merge its two Caribbean airlines into one, with BonairExpress and CuracaoExpress merging and becoming Dutch Antilles Express. The carrier used the second rebranding as a way to also expand its fleet, adding two Fokker 100s and one Falcon Air Express McDonnell-Douglas MD-80 as they started international flights in late 2005. St. Maarten, Venezuela, and Miami were the first ones to receive DAE’s international service. 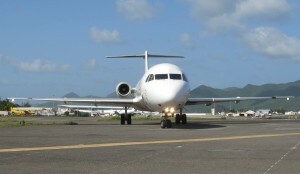 DAE is the only carrier in the Caribbean to ever operate the Fokker 100. Over the next few years, a Dutch Antilles battle ensued between recently rebranded Dutch Antilles Express and a brand new private carrier called Insel Air. Both airlines had overlapping route maps that were based in Curacao and Bonair. 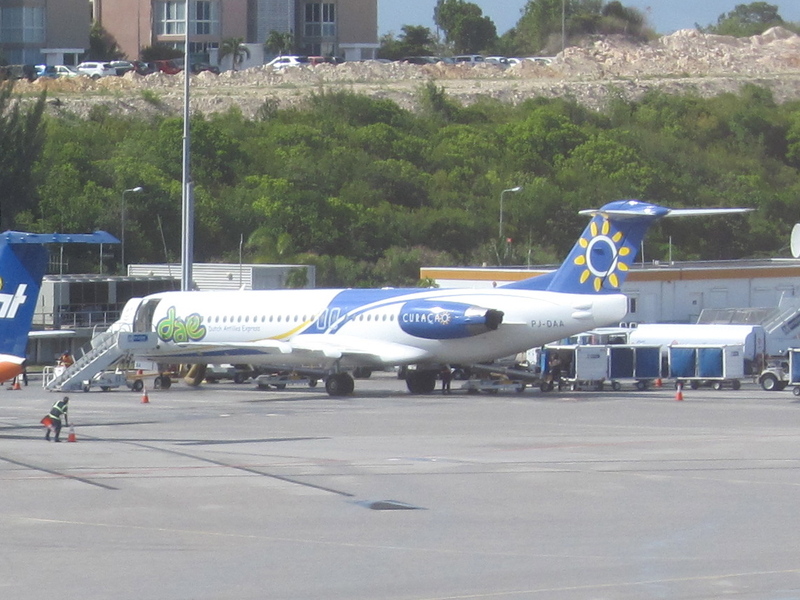 The only major route difference was Insel Air’s branch airline was based in Aruba and was named Insel Air Aruba. 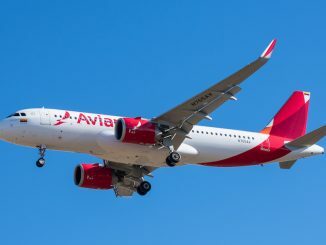 Insel Air quickly gained the upper hand in the battle of the two carriers, linking codeshare agreements with South American carriers GOL and Avianca as well as European carriers KLM, Air France, and Air Berlin. 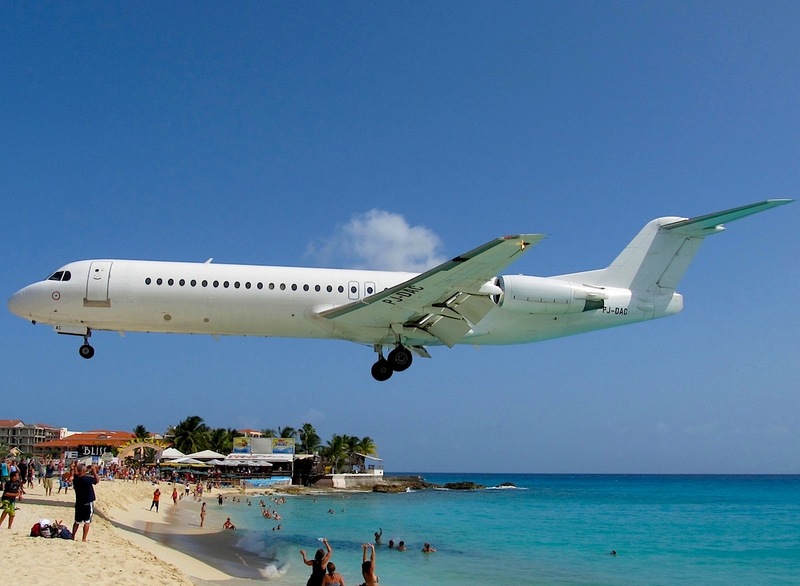 While Insel Air continued to distance itself from DAE, Dutch Antilles Express was having its own problems; the cash strapped airline was starting to lose money due to the struggling world economy. 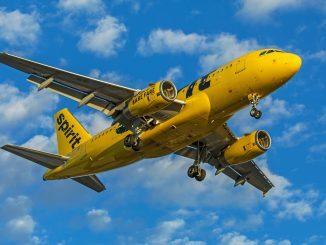 The government of Curacao bought the carrier in 2011 in an attempt to save it, two massive injections of 1.5 million Caribbean Guilders ($837,000) was made in an attempt to save the struggling airline. DAE started strategizing and finding a way to cut costs; the carrier planned to start phasing out their Fokker 100s and looking towards more fuel efficient planes like the Airbus A319. More MD-80s were wet-leased from Falcon Air Express while the carrier returned two ATR 42s and one Fokker 100. In attempts to attract more customers, Dutch Antilles Express tried to partially rebrand their aircraft. The aircraft went from a white fuselage with flyDAE.com on the side and a green “dae” on the tail to a more colorful aircraft. The new livery focused on their hub, Curacao, with a blue and yellow design that was the colors of the Caribbean Sea. The engines were painted blue and given the official Curacao logo. The tail was also blue and had the “o” from the Curacao logo, which formed a sun. The green “dae” was moved to behind the main doors, with the name “Dutch Antilles Express” written behind the logo under the windows. DAE’s leased MD-80s and one Fokker 100 (PJ-DAA) wore the new livery. The rest of the fleet was supposed to get the new livery during their next c-check. In 2013, DAE lost its landing rights in Maracaibo, Venezuela when the city claimed that DAE didn’t offer adequate service. The carrier had cancelled multiple flights at Maracaibo when most of its fleet was going through maintenance checks. Soon after Suriname suspended DAE’s right to fly into the country, noting failure to pay for landing fees. By August, DAE had also lost rights to fly to St. Maarten due to the same exact reason that got them kicked out of Suriname. The carrier, now in serious problems, tried to approach the government asking for a 5 million Guilder ($2.8 million) loan in order to keep the carrier aloft. 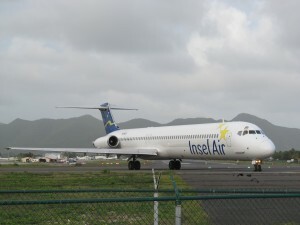 Insel Air also approached the government asking to take over the stranded carrier and merge it into Insel Air. The government turned away Insel Air and said it was evaluating whether or not to keep DAE airborne. On August 16, the Parliament of Curacao voted on the fate of the carrier, with the final vote of 9 for and 9 against with 3 absences the Parliament voted to terminate Dutch Antilles Express. The next day flights were removed from the flight boards and a takeoff restriction was placed on all DAE aircraft. Over the next week, the leased aircraft were returned to their leasing companies, with the last being Falcon Air Express. Multiple employees fought for the carrier to be restarted but on September 19, 2013, DAE removed itself from the bankruptcy court ruling, officially ending the carrier. Editor’s Note: Did you miss a recent Throwback Thursday story? Not to worry, we have your back. Click here for all of our #TBT stories.